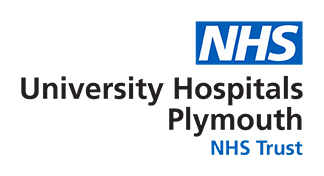 Plymouth Dialysis Unit offers both haemodialysis and peritoneal dialysis to patients living in Plymouth, East Cornwall, North and South Devon. The unit, based in Eaton Business Park Plymouth, has free parking for patients and replaces the hub haemodialysis unit previously located within Derriford Hospital. The unit also offers a range of home therapies such as CAPD, APD, assisted APD and home haemodialysis. Training is provided on the unit by specialist staff. The open plan unit has 29 haemodialysis stations, offering treatment in either four station bays or two station bays. There are also four single rooms available for patients requiring haemodialysis and who need to be isolated for medical reasons. Each station has a ceiling-mounted television. Holiday haemodialysis is available to visitors to the south west region. Appointments are available on Monday, Wednesday and Friday from 7.00pm and need to be booked in advance. Contact Sue Reynolds or Anca Ichim for further information.